MIAMI - Republicans have been having a rough 2018. From multiplying White House scandals to dismal special election results, the problems have been piling up. But one ray of sunshine has come from Florida. Elsewhere, Republicans struggled to recruit top-tier candidates amid talk of a "blue wave," but not here. When popular outgoing Gov. Rick Scott decided to challenge incumbent Democratic Sen. Bill Nelson for his seat, he made it one of the most competitive races in the country overnight. And Nelson is no political pushover; He won his last election by 13 points, but polls consistently show Nelson and Scott are locked in a dead heat. Here are some of the biggest questions surrounding what will be one of the biggest, most expensive -- and probably the nastiest -- races in the country. 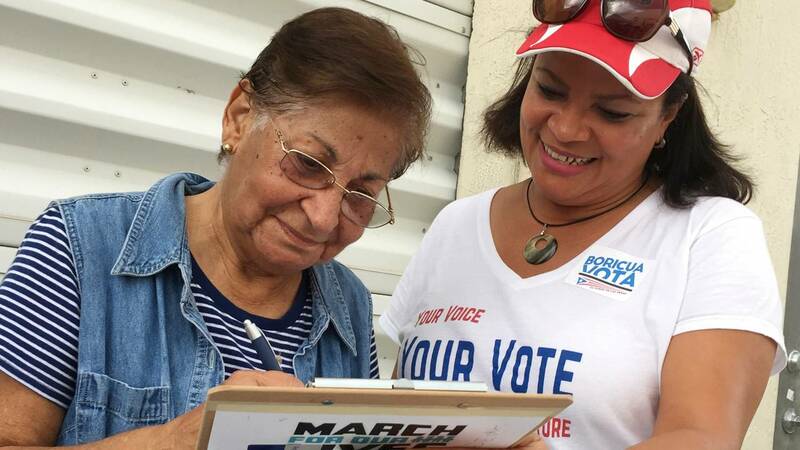 1. Who will carry the Puerto Rican vote? In addition to crisscrossing the state, candidates for the Florida Senate have added yet another campaign stop -- Puerto Rico. Why give so much attention to the U.S. territory that's more than 1,000 miles away from Florida? Well, both Republicans and Democrats believe that Puerto Ricans could become a key voting bloc in the Sunshine State. Driven by a struggling economy, thousands of Puerto Ricans have settled in Florida in recent years. And a new influx of residents arrived after Hurricane Maria devastated the island last September. While conventional wisdom says the new wave of Puerto Ricans should be a boon for Democrats, Scott has been courting these new potential voters for months. He has traveled to the island at least six times since the hurricane. A recent poll signaled trouble for Nelson among Puerto Rican voters. Nelson has recently stepped up his advocacy for Puerto Rican issues in Congress, trying to tie Scott to the policies of U.S. President Donald Trump. "Too many people in Washington look at puertorriquenos as them and not us, and we have to change that mentality," Nelson told Puerto Rican voters in June. 2. How will the Parkland School Shooting affect the race? 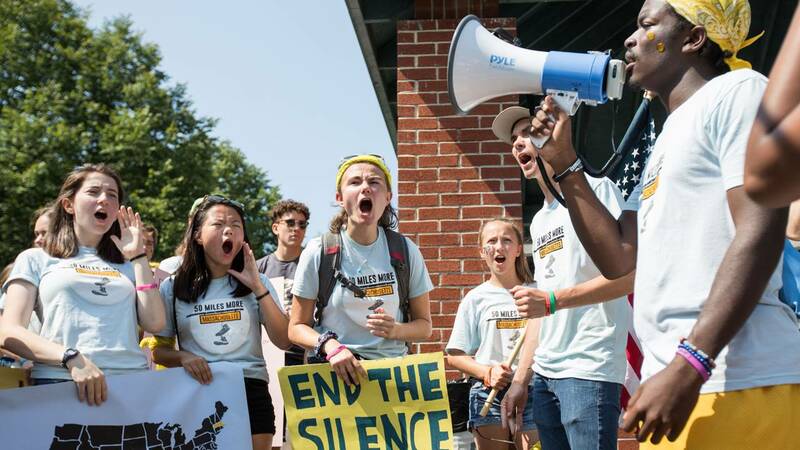 Galvanized by the mass shooting at Marjory Stoneman Douglas High School, Parkland's activists sprang into action and defied all expectations about the U.S. talks about gun violence. Their "March for Our Lives" rally drew thousands to the streets in cities across the country. Largely because of their advocacy, Florida passed gun reforms for the first time in decades. This past summer, the students and, now, some graduates hit the road, to register voters, particular young ones. Skeptics wonder whether the Parkland activists can defy expectations again by finally bringing young people to the polls. 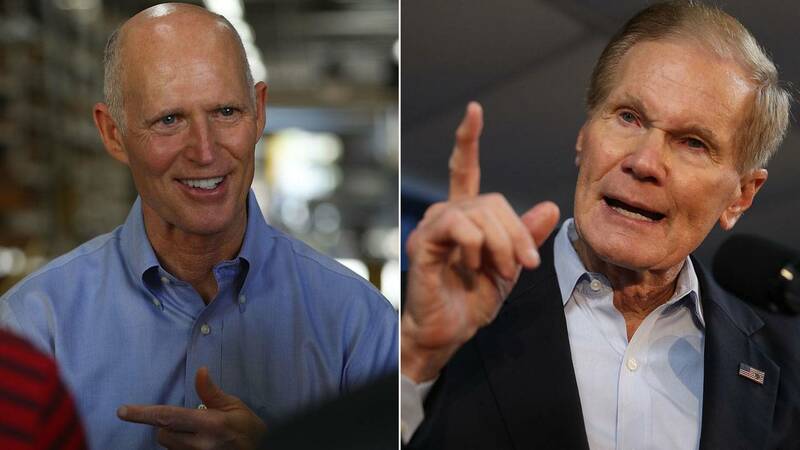 Their efforts, however, are most pronounced in Florida, and Nelson will likely receive help on the campaign trail from the likes of David Hogg and Emma Gonzalez. But don't count Scott out. As governor, he signed those gun reforms into law, possibly insulating himself from being portrayed as being beholden to the National Rifle Association. 3. Can Scott thread the Trump needle? Scott's biggest challenge this fall may not be Nelson, but the president. When it comes to Trump, Republicans are often caught between a rock and a hard base. Embrace Trump too much and lose suburban moderate voters. Distance yourself from the president and risk the ire of his loyal base. This is Scott's dilemma. But so far, Scott has shown a deft touch when it comes to Trump. In July, Trump arrived in Tampa to stage a rowdy campaign-style rally. Scott did not attend, but rather showed up at softer, business-friendly event earlier in the day with the president and his daughter Ivanka Trump. Everyone was happy and Scott avoided any presidential wrath via Twitter. But that bit of savvy political stagecraft won't be able to stand up to the deluge of negative ads painting him as a Trump toady. 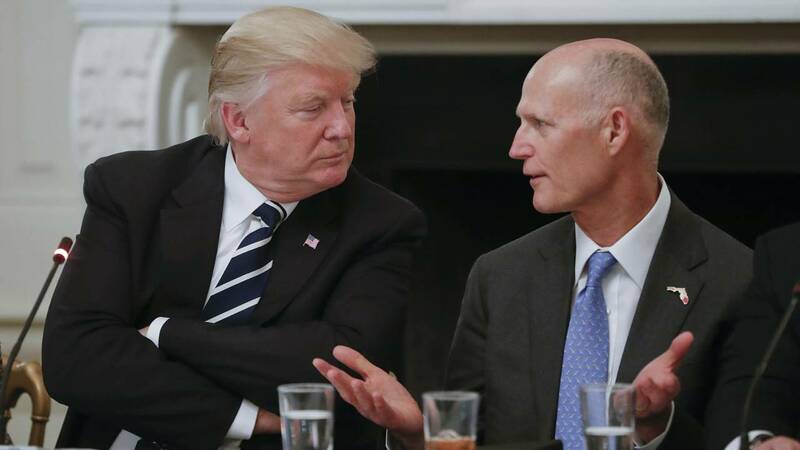 In the coming months, if Trump's unpredictably is any guide, things will get very, very awkward for Scott, requiring some quick thinking and a bit of luck. 4. Scott has been moving to the center, but will Nelson stay there? Across the country, candidates seem to be getting more extreme. But in the Florida Senate race, it seems both candidates are appealing to the center. As Democratic enthusiasm kicks up ahead of November, will Nelson become more progressive or stick to his moderate roots? The looming confirmation of Brett Kavanaugh to the Supreme Court will be a particular test for the consensus-driven Nelson. Liberal activists want to fight to stop a justice who they believe could overturn Roe v. Wade, while Republicans are putting pressure on red state Democrats -- Nelson among them -- to confirm someone they see as a highly qualified jurist with an impeccable resume. But Nelson isn't signaling a defection on Kavanaugh. He decided not to meet Kavanaugh and has largely withstood attacks from outside groups. He's also stepped up his visibility on immigration issues. 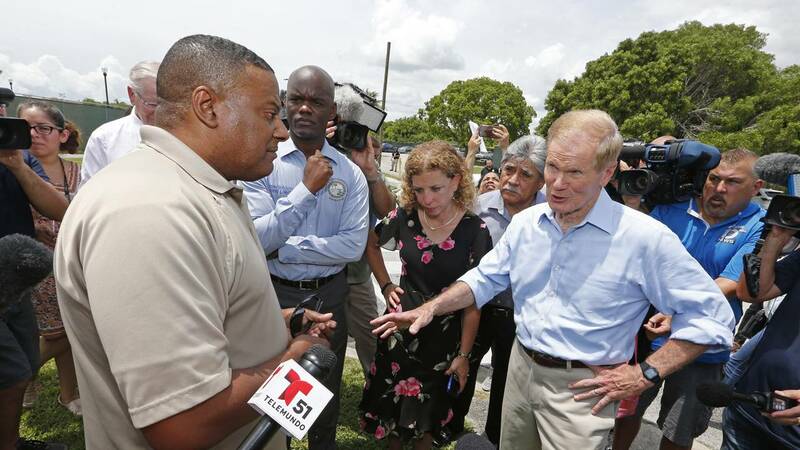 Nelson joined Rep. Debbie Wasserman Schultz to demand a tour of a Homestead facility that housed children separated from their parents at the border. The moderate Nelson may never be a Bernie Bro or scream "Abolish ICE" at a rally, but he may do just enough to please his fellow Democrats and try to surf that blue wave. 5. Can Andrew Gillum actually pull off his bold strategy in the governor's race? And what does that mean for Nelson? The mayor of Tallahassee ran in his primary as an unapologetic liberal. Many scoffed at his campaign thesis that appealing to mythical moderate voters has kept Democrats out of the governor's mansion for two decades; it's all about bringing out more Democrats with an energizing message. Well, now, his primary win has some of those scoffers asking: Could Gillum be right? 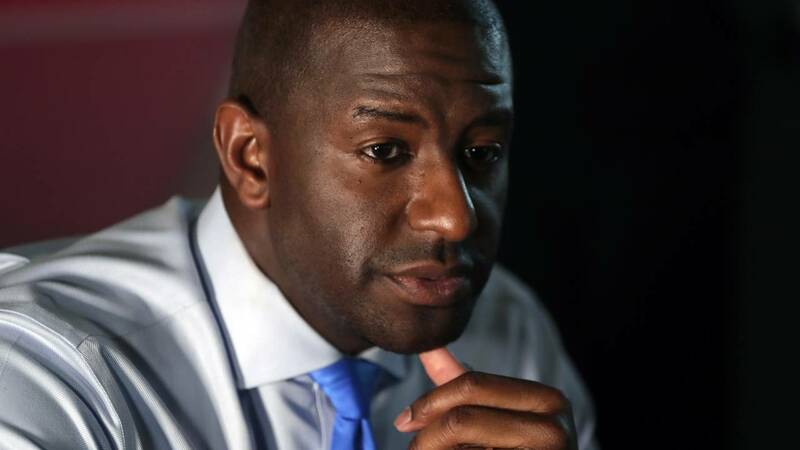 An analysis by the Tampa Bay Times found that, in the Florida counties with the highest number of black voters, Gillum won by 15 points. These include the big population centers of Broward, Hillsborough and Miami-Dade counties. Nelson's reelection may depend on it. Nelson has never been a liberal darling. But if Gillum brings record numbers of young people, black voters and progressives to the polls, the senator may be riding the mayor's coattails.